ACER Introduces World's Thinnest and lightest "Ultrabook" called "Aspire S5". 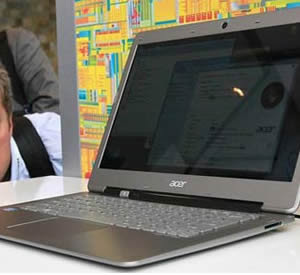 Laptop Specialists "ACER" introduces World's Thinnest and lightest Laptop Computer "Aspire S5" at the Consumer Electronic Show (CES) in Las Vegas (USA) on 11th January 2012. 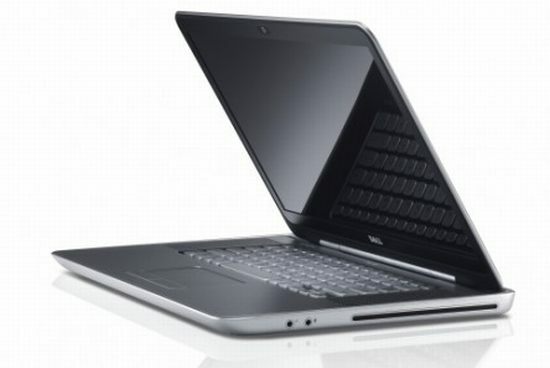 Aspire S5 has a 13.3-inch ( 34-cm ) LCD Monitor and is 15 mm at its maximum thickest point. 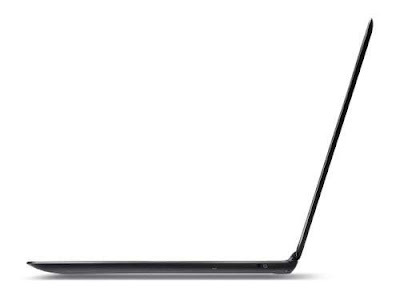 The "Aspire S5" Ultrabook weights slightly less than 1.35 kg (three pounds only). 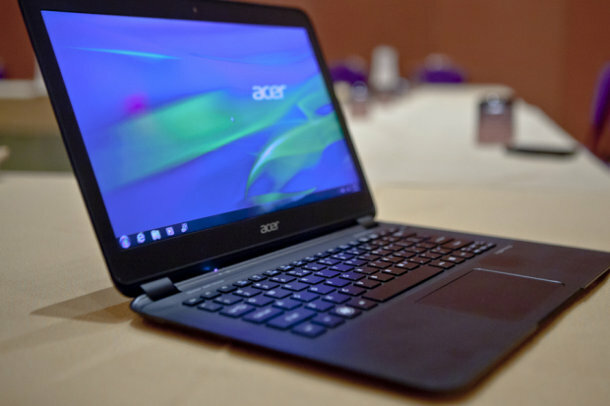 Acer Aspire S5 has the unique Acer Green Instant (AGI) technology for speed booting and resume. Aside (Apart) from this, it includes the Acer Always Connect the feature, it allows its users to manage their multimedia ( Photos, music,videos) and data on all their devices or gadgets anytime, anywhere, even its on sleep mode.